Make your moving day in Charlotte better with our move-in cleaning services. Moving to a new location in Charlotte, North Carolina is supposed to be an exciting time. That can go south pretty quickly when you are exhausted from packing and dealing with movers and suddenly realize the last occupant left in a hurry without doing a good cleaning. Here at Fiv5 Star Cleaning, we want to make your day brighter with our move-in cleaning services. You can arrange our services ahead of time, so your new home is ready, or we’ll do our best to get there quickly if you realize it as you pull up to your new home. We have a full team that handles our more than 130 monthly customers, so you can count on us to help your moving day be much less stressful. It really isn’t a bad idea to schedule move-in cleaning whenever you move because it is not uncommon for someone moving out to have a full plate and not have time to do cleaning that meets your approval. Even if they cleaned before the movers arrived, the process of loading up their belongings can result in a mess, particularly if the weather wasn’t agreeable. We also offer various other services that can work in conjunction with your move-in cleaning. For example, we provide babysitting services, dog walking services, closet organization, and laundry services. We would love to do our part to make your life easier as you embrace your new home and get settled in. Call us today to learn more. 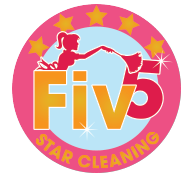 At Fiv5 Star Cleaning, we offer move-in cleaning services in Charlotte, Concord, Cornelius, Gastonia, and Mooresville, North Carolina, as well as Rock Hill, South Carolina.